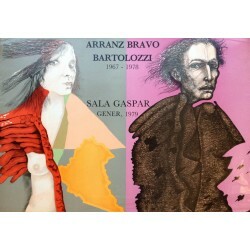 Rafael BARTOLOZZI (Navarra 1943- Vespella 2009). He belongs to the generation of the 60s which brought together unequal artists inspired in the recovery of figuration and Pop Art. 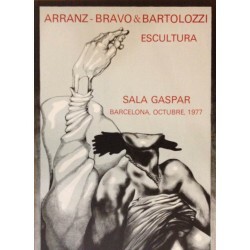 In 1962 started his studies in the Fine Arts's University in Barcelona and began to exhibit in Sala Gaspar. In the beginning of his career he was fascinated for the abstractions of Millares, Saura and Tàpies, but since 1960s he turned back to the figurative art, becoming one of the best representative artists of Pop Art in Spain. 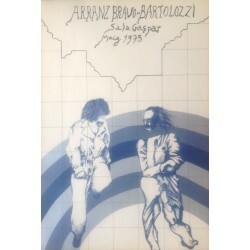 In 1980s he sporadically turned to the informalism without forgetting the conceptual and objectual features of his work. He was the director and the creator together with JOan Abelló of tha National Visual Poetry's prize Joan Brossa. His works are present in the most important museumns of Contemporary Art. 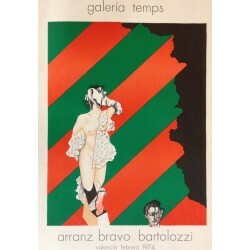 BARTOLOZZI Rafael There are 4 products.